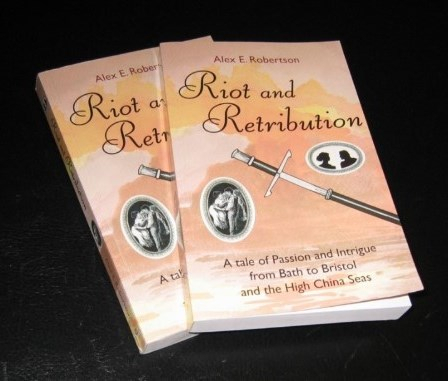 Official site of Alex E. Robertson: Author of "Riot and Retribution" and "Napoleon's Gold - The Wages of Sin"
The first novel, Riot and Retribution, is a historical thriller set in the early 1830s - a tale of Passion and Intrigue - from Bath to Bristol and the High China Sea, about 30 years after Jane Austen’s books, just before the Pickwick Papers and Oliver Twist, but 50 years before the appearance of Sherlock Holmes and interest in forensic detectives. This novel is the first of a planned trilogy of stories. They will span the 1830s and the days of domestic riot, to the outbreak of the Opium War with China and will serve up the passions, delights and evils of the time for your delectation. 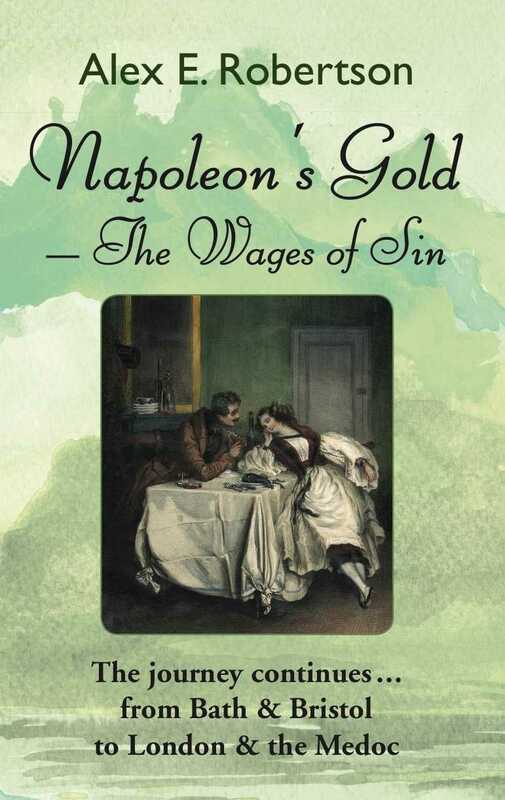 Napoleon's Gold - The Wages of Sin has been written and will be available before Christmas 2017. The story starts in October 1831 when Britain was in social and political turmoil and Nathaniel Parry arrives in Bath to investigate. He is soon drawn into deeper waters than those provided in the steaming baths. In the social masquerade few are quite what they seem, and the higher they are, the murkier their depths.Politicians, bankers and traders jostle for power and the greatest prizes of all are to be won in the exotic Far East. Murder, opium and slavery, dealing with Chinese agents, the low life in Bath and the wharf-rat flotsam of Bristol Docks, not to mention the attractions of the Bath beauties, will tax his powers to the limit but he is as well prepared as he is going to be.He’s got a pair of percussion pistols, a swordstick and his dog. Riot and Retribution is available for purchase in several locations and online, see the Availability page of this site. Witham Friary, Village Hall near Frome (UK): Sorry, but due to ill health, this planned talk in April 2018 has been cancelled and will hopefully be rescheduled at some point in the future. Why not select Riot and Retribution for your next programme? Many readers, male and female, younger and older, have enjoyed it immensely and recommended it. Have a look at the reviews on this site to see some responses. For people who know Bath or Bristol there is the pleasure of tracing the progress of the novel through familiar sites, transposed to 1831. For all readers there is the pleasure of enjoying an historical thriller, firmly rooted in thorough research. Opium ships, relationships, high and low politics are there, heroes as well as villains, the morality of the period providing a mirror through which we might examine our own values and motivations. to reply to questions which relate to material presented in the book. This second book in the trilogy will be available in time for Christmas 2017! "What an action-packed yarn this is - full of twists and turns, fascinating characters and, above all, details so rich and historically accurate that you feel like you are there alongside our hero Nathaniel. And a special mention for his trusty sidekick Caradoc... the most realistically depicted canine character I've encountered in a very long time!" “A real gem of a read. Combines in-depth period research with a gripping storyline that feels real; many of the themes would not be out of place today! Copyright © 2016 Alex & Stan Kolaczkowski, Robert E. Hayes. 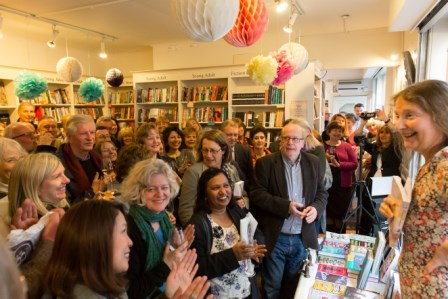 Photograph credits: images of Bath and book cover: Stan Kolaczkowski, images of the book launch: Piers Awdry.